Ted Chiang has long been known as one of the most powerful science fiction writers working today. 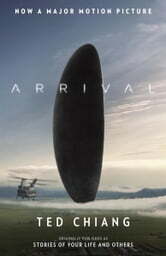 Offering readers the dual delights of the very strange and the heartbreakingly familiar, Arrival presents characters who must confront sudden change. 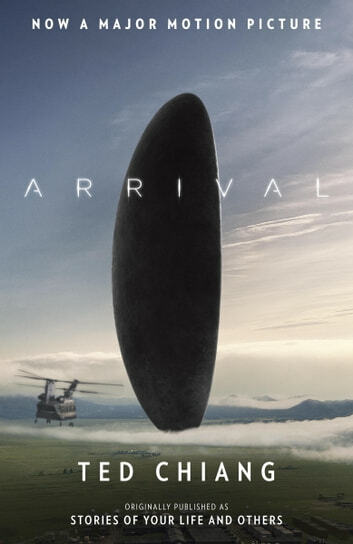 In "Story of Your Life," which provides the basis for the film *Arrival, *alien lifeforms suddenly appear on Earth. When a linguist is brought in to help communicate with them and discern their intentions, her new knowledge of their language and its nonlinear structure allows her to see future events and all the joy and pain they may bring. In each story of this incredible collection, with sharp intelligence and humor, Ted Chiang examines what it means to be alive in a world marked by uncertainty, but also by wonder. The book is a collection of short stories, one of which the movie Arrival is based on. If you are wanting a more detailed version of the movie you won't find it here. The stories are all engaging provided you enjoy science fiction mixed with social commentary.